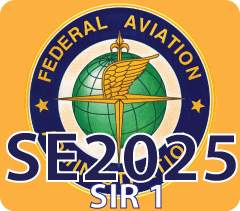 SE2025 is the FAA’s strategic program for transforming the country’s National Airspace System (NAS) through the implementation of the Next Generation Air Transportation System (NextGen) and related FAA Programs. The program provides advanced research, analysis, systems engineering, and integration for NextGen and non-NextGen initiatives through a multi-award Indefinite Delivery, Indefinite Quantity (IDIQ) contract with a total ceiling value of $767.6 million. Mosaic ATM has been a trusted partner of the FAA’s SE2020/SE2025 program since its beginning. As prime contractor, Mosaic ATM brings together a highly specialized and proven team of industry leaders with unsurpassed technical skill and domain expertise in all aspects of the National Airspace System (NAS) to implement the full scope of aviation research capability and excellence.